OPEN CALL from August 25 to October 10, 2016. 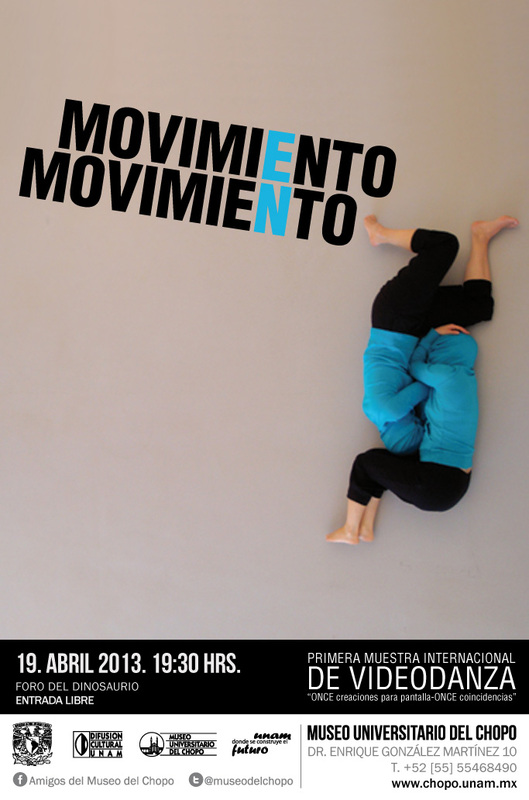 Up to 20 screendance pieces will be selected to be part of this edition. The official selection is already being collected, however this call is opened to look for films that we would not find out without the call. 1) Short films from 1 to 15 minutes. 2) Screendance, making a synthesis, is a mixture of the art of dance and the audiovisual arts, for this call we appreciate the films that have a clear, original, expressive, speculative and if possible humanist content in meaning, either through narrative expressed by a plot or the sequence of images, or through symbolic languages or contrasts. 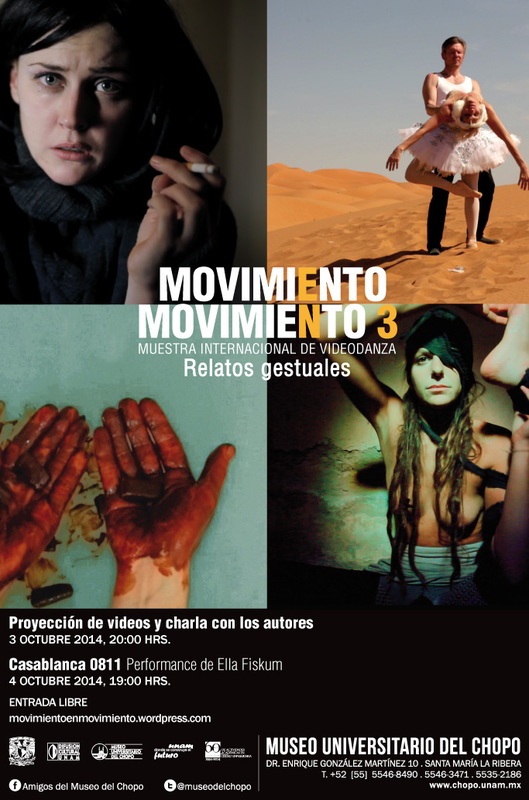 3) The borders and differences between dance films and films or videos of experimental art are shifting, so that, those videos or films that show choreographed movements made by objects, animations, camera movement, dancers or actors are accepted. 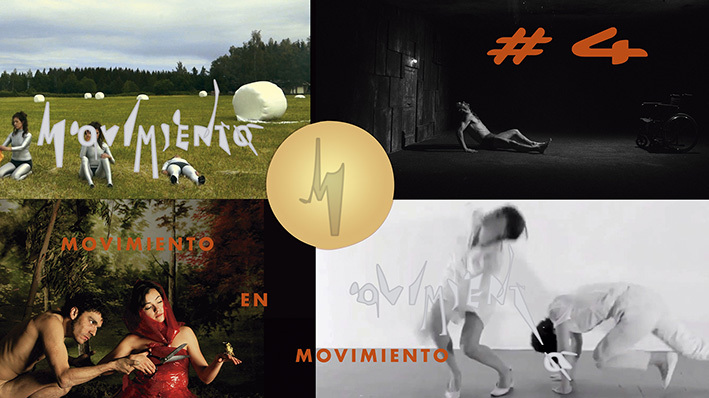 It means that we also accept those films that have their origins in the experimental art and at the same time have some choreographic composition in its visual structure. 4) We do not accept documentation of stage pieces, only those that have been adapted to an audiovisual language. 5) A creator can submit up to two pieces of screendance.